LA BOSCANA | Food Ink. Para el español, haga clic aquí! The world’s first 3D-printing restaurant opens its doors to an exclusive gathering of guests on three consecutive evenings in a stunning sunset garden in the Catalonian countryside. By now you’ve heard of 3D-printing, but did you know that you could soon be downloading dinner and getting that pizza delivered by email? 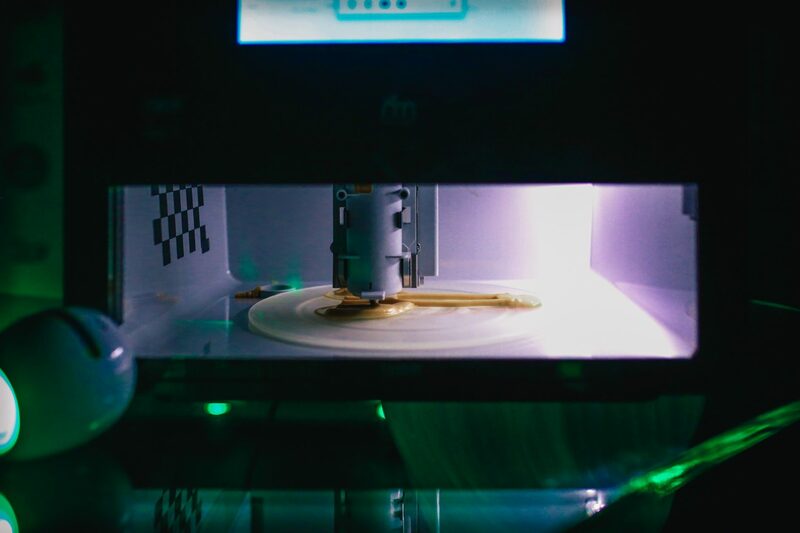 Presenting Food Ink – The World’s First 3D-Printing Restaurant. At these utterly unique and fully interactive “print-out pop-ups,” all the furniture, all the utensils — and yes, all the food! — is produced through live 3D-printing, right before your eyes. Following its successful world premiere in London this past summer, where it was received by international media and the public with rave reviews, Food Ink is now bringing the world’s most futuristic gourmet experience to one of the world’s great regions of culinary innovation and to one of its most acclaimed restaurants. This November 9-10-11 at 20:30, La Boscana restaurant will host 10 very special dinner guests each evening in its stunning garden for this one-of-a-kind gastronomy event. Guests will watch with delight and astonishment as the most advanced technology creates edible art in a spectacular natural setting. 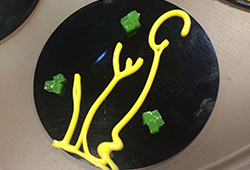 Our lucky few guests will be greeted on arrival with champagne and a variety of 3D-printed hors d’oeuvres. 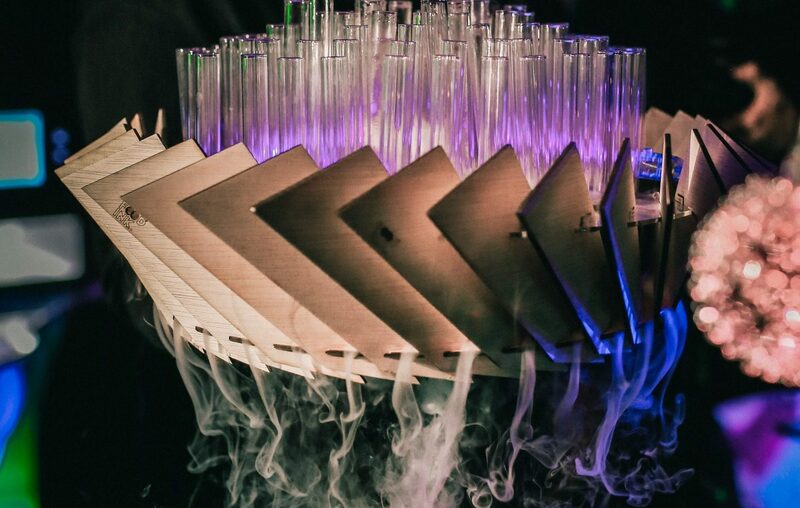 They will then be led to our freshly 3D-printed chairs and table, where together they will embark on an eleven-course, multi-sensory journey through the future of food. 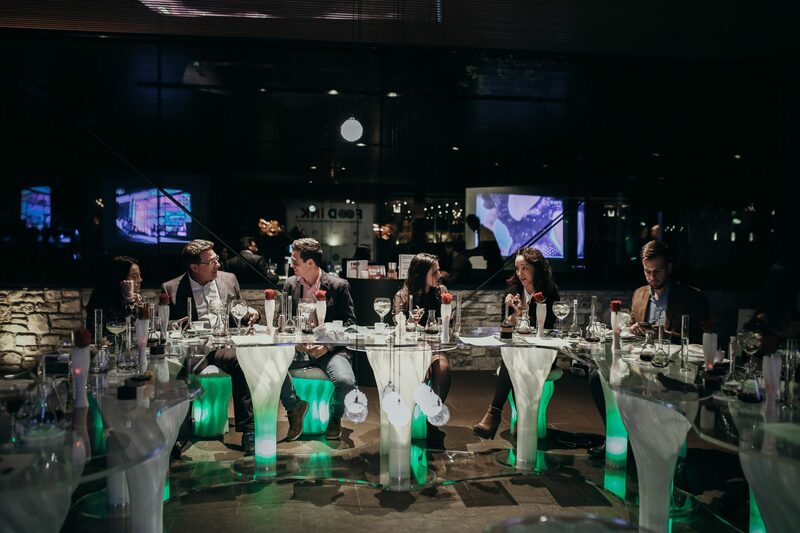 Ingredients are locally sourced and freshly prepared by La Boscana’s master chefs Joel Castanye and Mateu Blanch, fine wines are paired with each course, and the entire dinner is literally printed by gleaming futuristic machines sitting within arm’s reach of the guests. To remind us that nature and technology must always be in harmony, the spectacle takes place at sunset amid the perfect backdrop: the rich greenery and gentle breeze of La Boscana’s gardens, where the all-natural ingredients have just been freshly picked. Situated in the pristine valley of Bellvis, just outside Lleida and an hour-and-a-half drive from the Catalan capital of Barcelona, La Boscana is one of the fastest rising stars in Spain’s dazzling constellation of top restaurants. Before launching La Boscana, Chef Castanye worked for many years at the legendary Michelin 3-star elBulli, which was ranked the number one restaurant in the world for a record five times. 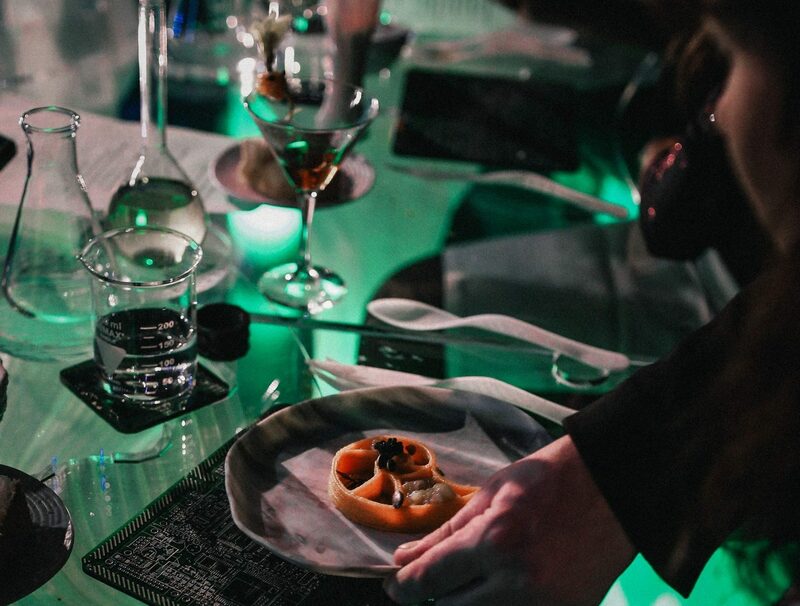 At this future food experience, the tables, chairs and lamps are some of the world’s first functional 3D-printed furniture, created specifically for Food Ink by French architect Arthur Mamou-Mani. 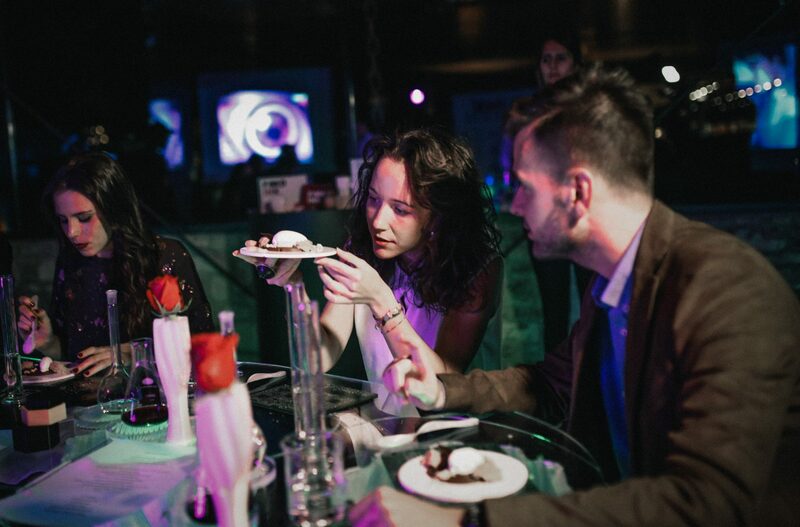 Guests will be dining with fully 3D-printed utensils designed by Polish artist Iwona Lisiecka and 3D-printed by homegrown Catalan startup BCN3D Technologies. Drinks are sipped and treats are scooped from 3D-printed cups and plates by Italian company WASP. There will also be a special surprise created exclusively for our guests by one of the world’s top cocktail-makers, Patxi Troitino. 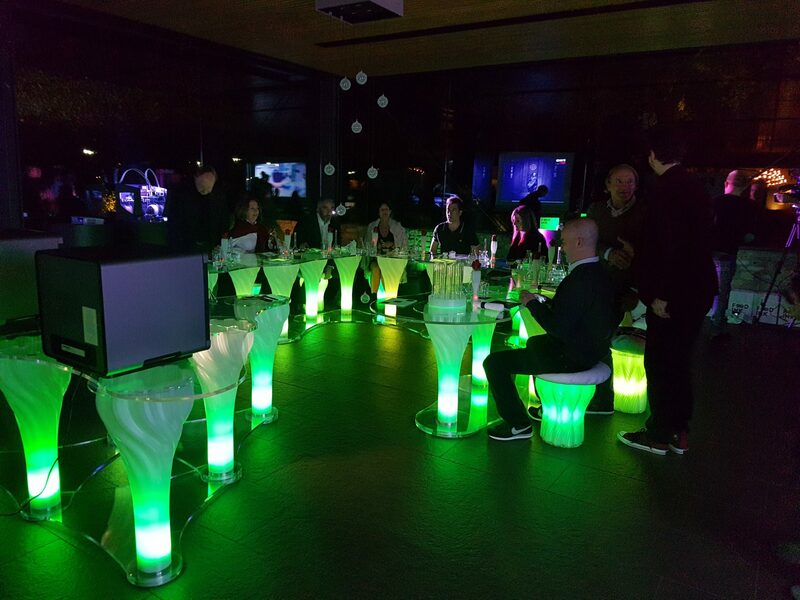 The dinner goes even beyond 3D: Virtual Reality headsets are worn during the first course, wall-to-wall visual projections surround the space, and even the music is composed by Artificial Intelligence. The event will also be livestreamed online to the world, so even those unable to secure a seat at the table can still marvel at the exquisite creations being magically 3D-printed out of thin air. Our lucky guests, however, will be a part of history as they enjoy a literal front row seat at this revolutionary moment in fine dining. Food Ink is the first initiative ever to present 3D-printed food with so many elements and anywhere approaching this level. 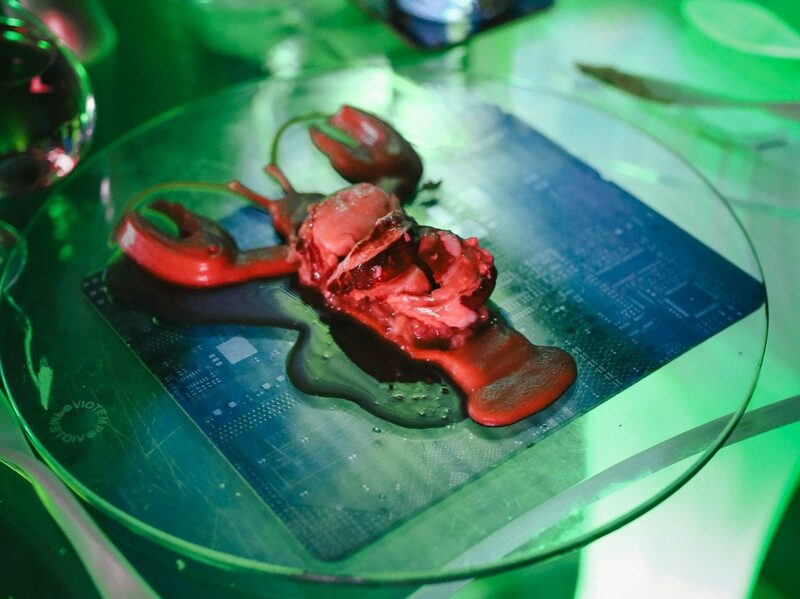 This event represents a major step forward in technology, food, and design, all in a single evening. La Boscana and Food Ink are delighted to achieve this visionary collaboration and to share this historic occasion with our very special guests. Food Ink is a completely new type of theme restaurant and an innovative food technology brand created by Antony Dobrzensky. The goal of Food Ink is to use the universal language of food as a fun and accessible way to promote awareness about the amazing possibilities of 3D-printing and other promising new technologies. Our events serve as a platform for conversation about how these emerging technologies are rapidly challenging and changing the way we eat, create, share and live. We are now bringing this extraordinary new restaurant format to a number of innovative cities around the world, with upcoming locations and dates to be announced shortly. Feed your curiosity at our website and on Facebook, YouTube, Twitter, and Instagram. For Media and Event Partners: Please feel free to use any of our photo and video content free of charge; we only ask that you ensure it is credited to “Food Ink”. We employ our photographers on a work-for-hire basis, therefore all image rights are owned by Food Ink and so photo credit should be indicated simply as “Food Ink”. In your reporting it would be appreciated if you would kindly provide links for your readers to our website and to our social media channels on YouTube, Twitter, and Facebook.